More Than $1.5 Million Worth of Finds! 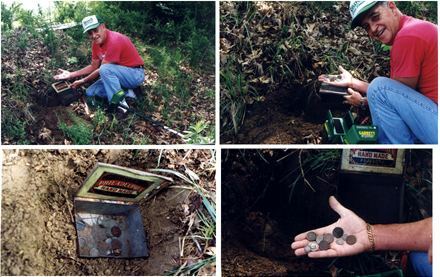 Dave Booth of Scotland had only owned his metal detector for five days when he made a discovery that has changed his life. He recovered an incredibly rare cache of five gold treasure pieces that were grouped tightly together - three intact necklace and two fragment of another. The news of David's disovery led to international interest. These four golden neck pieces, referred to as "torcs," are estimated to date 300 an 100 BC. Early speculation has been that his "Stirlingshire Hoard" could fetch more than $1.5 million!